Alek Boyd has the story. Very nice follow-up on this whole reputation protection story. Long story short: whoever is protecting reputation for the Bolibourgeoisie (denials notwithstanding, quite likely this cat called Rafael Núñez) is now using the services of the consummate startup Crowdflower to boost search rank of some of his or her clients. Lukas Biewald, one of the founders of Crowdflower used to work on search relevance at Yahoo. And his tools are now being used to screw up search relevance. Go figure. Alek also gives a bit more about the convicted terrorist murderer and now reputation management beneficiary Ramiro Helmeyer. Go give a read. This entry was posted in Uncategorized and tagged crowdflower, reputation management, venezuela on December 20, 2013 by Steven Bodzin. This entry was posted in Uncategorized and tagged currency, economy, venezuela on December 17, 2013 by Steven Bodzin. This just in from the biggest South American oil company by production. It’s news. And no, not going to translate just now. Suffice to say that Oil Minister & Economy VP of Venezuela Rafael Ramírez is telling people about the opportunity cost of cheap fuel. That’s new. Maybe one day Venezuela will stop using much more fuel per capita than its peers. Higher fuel prices could be one piece of that. Caracas, 16 de diciembre de 2013. Solo por costo de producción de combustibles el Estado venezolano asume al año una pérdida de 12 mil 592 millones de dólares, por lo que resulta propicia la consulta nacional acerca del precio de los derivados que consume el mercado interno, señaló Rafael Ramírez, vicepresidente del Área Económica, ministro del Poder Popular de Petróleo y Minería y presidente de Petróleos de Venezuela, S. A. (PDVSA). 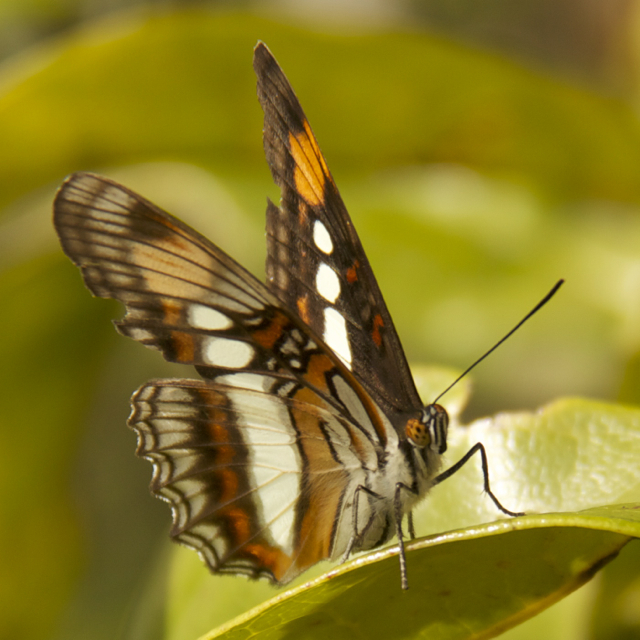 This entry was posted in Uncategorized on December 16, 2013 by Steven Bodzin. NuScale Power, whose plan to create tiny nuclear reactors installed under water, seeks a safer, more economical design. Jose N. Reyes, the company’s chief technology officer. December 12, 2013, WASHINGTON — The Energy Department will give a small company in Corvallis, Ore., up to $226 million to advance the design of tiny nuclear reactors that would be installed under water, making meltdown far less likely and opening the door to markets around the world where the reactors now on the market are too big for local power grids. The company, NuScale Power, has made substantial progress in developing “an invented-in-America, made-in-America product that will export U.S. safety standards around the world,” Peter B. Lyons, the assistant secretary for nuclear energy, said in an interview. For supplying electricity without global warming gases and for providing the United States with a new export product, the reactor had “immense global and national importance,” he said. We remember NuScale from this wacky business. How things change. This entry was posted in Uncategorized on December 13, 2013 by Steven Bodzin. Housing ministry, early morning. 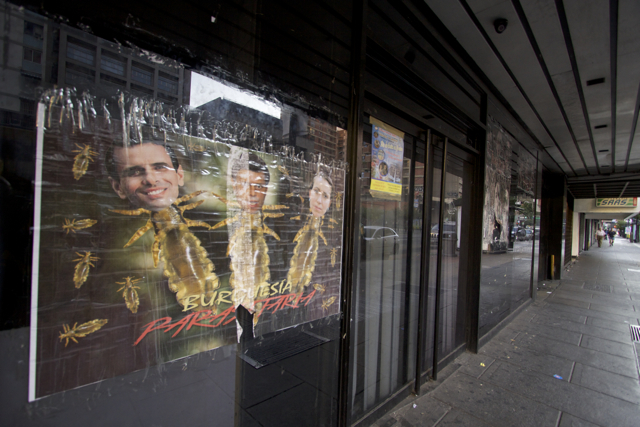 Poster says “Parasitic bourgeoisie” and shows Henrique Capriles, Leopoldo López and Marina Corina Machado’s heads on insect bodies. FEEL THE LOVE. 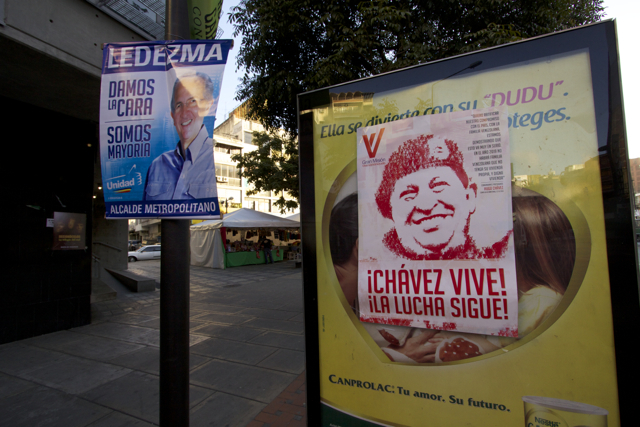 Rare opposition campaign sign, matched by poster advertising the Great Housing Mission of Venezuela as evidence that Chávez’s dream is alive. Looking for campaign information on Pico Occidental. Found this. 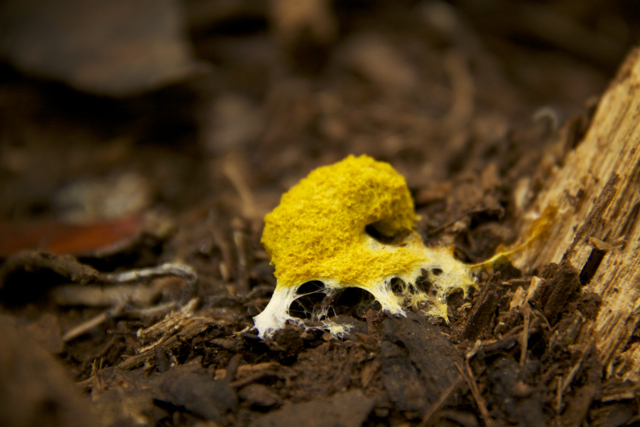 Slime mold on the Ávila. It was clearly walking AWAY from the voting stations. Even the ambulatory fungi are uninterested. This entry was posted in Uncategorized on December 7, 2013 by Steven Bodzin. Yes, FT, that’s the same headline as yours. Because you didn’t write what’s at stake. I don’t know if anyone really cares exactly how many votes one side or the other gets; certainly the idea that this is a “plebiscite” is totally overplayed and evidence-free. What’s at stake is how many mayoral offices are controlled by the pro-central-government PSUV, and how many are controlled by other parties, broadly called “the opposition.” There are two things at stake here. First, at the local level, in Caracas, an opposition sweep* would allow the city to become governable. The PSUV mayor of Libertador borough, the governor of the Federal Region, and central government have boycotted all cooperation with the opposition mayors of Caracas’ four eastern boroughs, Sucre, Chacao, Baruta and El Hatillo. As a result, you get absurd situations such as nice new, broad sidewalks in Chacao that end abruptly at the River Guaire, where pedestrians are forced into the busy street in order to cross the only bridge for a kilometer in either direction. Or worse, the lack of coordination between planning of streets, buses, cable cars and subway. Or competing police jurisdictions. And most of all, the sad sight of poorer opposition areas, especially Sucre, being left without the money to collect trash or permission to raise trash rates, while Libertador gets all the money it can spend to beautify plazas and historic buildings. So for Caracas itself, there is the chance to stop being the worst capital in South America, and to start living up to its potential — it could be a marvelous city. Second, much more important, having more mayoral offices would make it much easier for the opposition to mount a recall campaign at the midpoint of President Nicolas Maduro’s term. The constitution allows for recalls, but as the opposition has seen in repeated elections since 2006, all politics are local. And winning a national race requires local organizing. Who carries voters to the polls in special buses? Who has the money to cover the city in campaign propaganda for one side or the other? Mayors matter at election time. Other than that, as you say, not much to see here. The PSUV has treated the campaign as a bit of a joke, while the opposition has preferred to spend money fighting over a tiny number of votes in El Hatillo while there are almost no posters, grafittis or any other public displays of support for the regional mayor candidate or the candidate for Libertador, Ismael Garcia. Here in Caracas, I see no window signs, almost no soaped-up car windscreens favoring one side or the other (I’ve seen two pro-PSUV camioneticas in three weeks, not quite a campaign), no catchy campaign jingles, few billboards, no clever little marketing campaigns like the last Chávez election, when they gave out PSUV jewelry and silkscreens. None of that. I predict low turnout. *UPDATE: Just to be clear, this is extremely unlikely, as Libertador is reasonably rojo-rojito, and more importantly, the government really, really doesn’t want to lose it. Even less likely would be a PSUV sweep, as Chacao, Baruta and El Hatillo are all extremely pro-opposition territories. This entry was posted in Uncategorized and tagged politics, venezuela on December 7, 2013 by Steven Bodzin. It used to be that the Venezuelan state participated in the country’s currency black market, dodging its own currency controls for fun and profit. Market players have told me they always assumed state oil company PDVSA was the source of the $100 million a week or more that were dumped into the old parallel market via selected brokers. 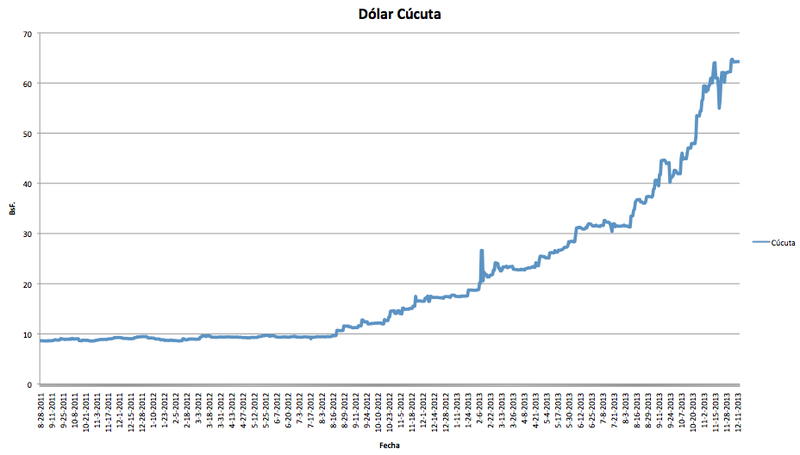 After the parallel market was banned and became a black market, the government continued to speculate on dollar-bolivar spreads and moves. The mechanisms got more mysterious; one game being played by the PDVSA pension fund, was revealed in US court. It now looks like the Venezuelan state halted its participation in the market sometime just over a year ago. It’s uncanny how the timing lines up with the Amuay explosion and the resulting massive importation of US motor fuel. But still, someone is buying bolivars. It’s not tourists. There simply aren’t many foreign tourists in Venezuela. Expat workers buy some, yes. But I’ve heard from Venezuelans who have recently gone to Colombia that there is a fierce demand for cheap bolivars in Cúcuta, Colombia. What do these Colombians do with those bolivars? They go to Venezuela and go shopping. Without bolivars, they can’t buy up price-controlled goods, cheap home appliances and even cheaper than you might expect wristwatches, and also pay off border officers on the return trip loaded with cheap milk. Let’s see what happens after Christmas, I’m chatting with one expert who predicts an further drop in the bolivar once Christmas-shopping Colombians stop propping up the price. The price of a bolivar is already low, now to somewhere around 65. 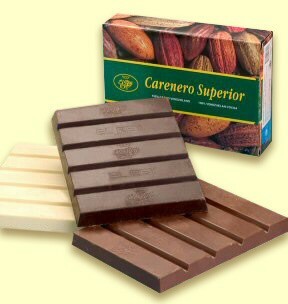 With prices like that, 160 bolivars for a 400-gram El Rey chocolate tablet at the Mercado de Chacao is about $2.50, or about half of what an 80-gram chocolate bar of the same quality would normally cost in a normal country. Yes, I’m stocking up. There is a slight surcharge on the milk chocolate bars, because, you guessed it, there’s no milk. This entry was posted in Uncategorized on December 5, 2013 by Steven Bodzin.